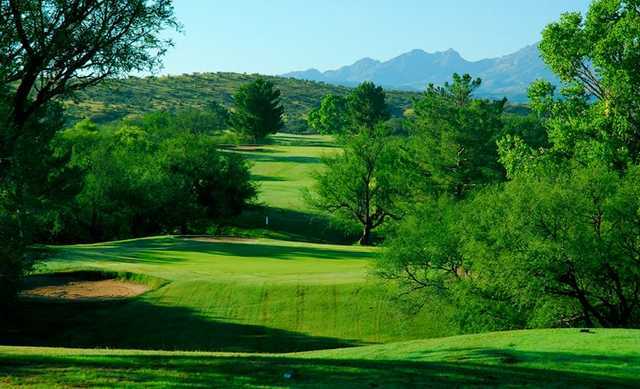 Surrounded by acres of gently rolling hills studded with native mesquite and oak trees, Kino Springs Golf Course has a stunning location along the Santa Cruz River. Savvy birdwatchers know that it's a major flyway where you can see flycatchers, orioles, kingfishers, and grey hawks. The golf course is player friendly enough for beginners but it has enough risk-reward opportunities to appeal to low handicappers. 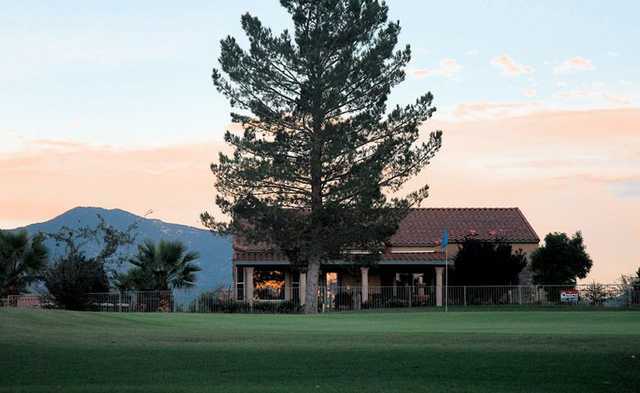 Surrounded by acres of gently rolling hills studded with native mesquite and oak trees, Kino Springs Golf Course has a stunning location along the Santa Cruz River. Savvy birdwatchers know that it's a major flyway where you can see flycatchers, orioles, kingfishers, and grey hawks. 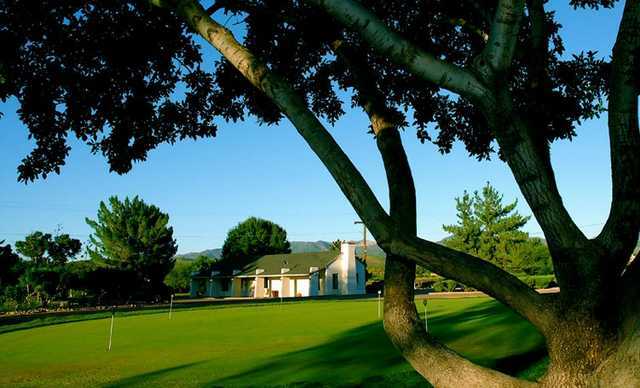 The course is part of the historic Estancia Yerba Buena Ranch, which has hosted an impressive guest list over the years that includes John Wayne and Elizabeth Taylor. The golf course is player friendly enough for beginners but it has enough risk-reward opportunities to appeal to low handicappers. The opening holes play across open meadows but by the fifth hole you'll find yourself in canyon country. Mature pine trees frame Kino Springs Golf Course's last five holes but the views from the elevated tees stretch past the treetops to the scenic river. Enjoyed the elevation changes on the course and of course the views. Greens were somewhat bumpy due to invasive grass clumps but ok. Our 4some enjoyed the play and the fish tacos.